I have written about this before in various guises, but here is a simple truth about me: I am not always a great Completer-of-Things. Thinker-of-Things, most definitely. Planner-of-Things and even Starter-of-Things, absolutely. And if I ever get around to completing even a fraction of the things that I think or plan or start – or just dream about while I look out the window – look out, World. However, since I am now 8/10 of the way through my current Headspace meditation trial, I figure that it’s safe to say that this is something I’ll definitely complete. And so I wanted to share it with you here, in case you haven’t heard of Headspace or their ‘gym membership for the mind’, starting with a free trial program of 10 minutes a day for 10 days. According to their website (and, I’ve got to say, my experience over the past eight days), Headspace is all about ‘meditation made simple’. Not woo woo woo pan pipe music, cascading waterfalls and bird calls, but proven meditation techniques with a scientific foundation. Treat your head right is their tag line, which sounds like an excellent idea to me. Headspace was started by Andy Puddicombe who, according to a quote on the website from the New York Times, “is doing for meditation what Jamie Oliver has done for food”. Only not charging quite so much (or offering branded tea towels and crockery, at this stage). I’d first seen Andy juggling his way through an interesting (and relatively short) TED talk – you can check it out here if you like – about the importance of mindfulness and, in a nutshell, making time to give our overly busy minds a rest on a regular basis. Another excellent idea. 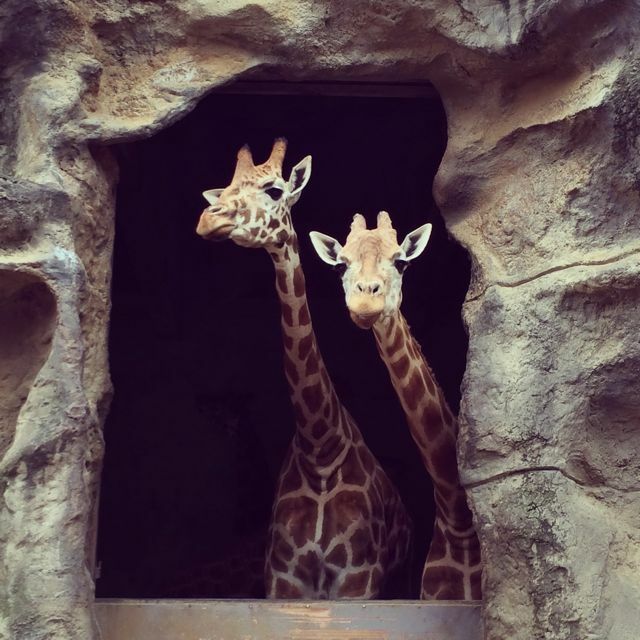 Speaking of head space, here are two giraffes that my lovely niece Ella and I met at Roar and Snore on Sunday morning. The Headspace site and app are easy to navigate, pretty to look at and fun to use. With clever animations and images, I’m going to go out on a limb and say that after I complete the initial 10 day challenge, I’m going to subscribe to get access to their other mindfulness and meditation wares. AND I WILL USE THEM. Look out, World! Thanks for the heads up on head space, Sparks. Sounds like my kind of meditation! I’ve always envisaged it as being hours of quiet contemplation, where I would probably just be making mental to do lists…but 10mins a day sounds very doable. thanks!